By now you’re either sick of hearing about HomePod, or you’re so curious about it you’re paying attention to this. 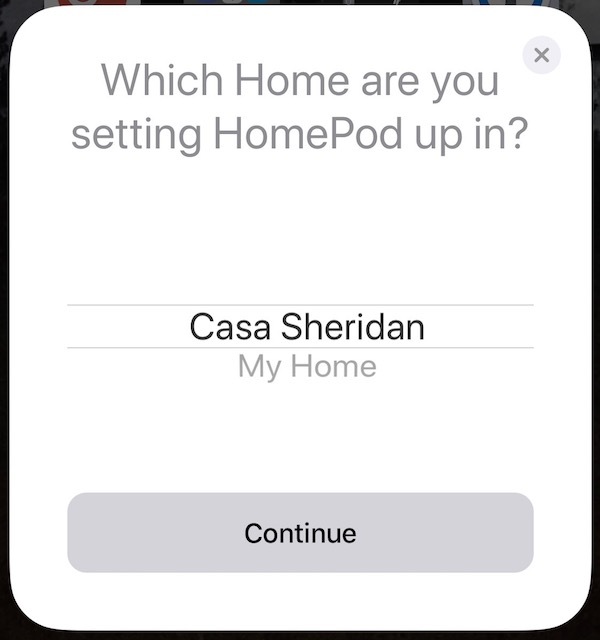 I thought it might be fun to talk about what has surprised Steve and me about HomePod. I’ve read the reviews, I’ve heard the hype, and I’ve heard the naysayers. I would suggest to you that you think about HomePod as a speaker. A really awesome speaker that has great sound. And it also comes with a frequently recalcitrant, always myopic, and slightly dimwitted assistant. How about we avoid the word “smart” altogether? If you want to understand how amazing the audio quality is on HomePod, you won’t look to the NosillaCast. As you know, I don’t listen to music. Steve cares about music and says it’s amazing, but he did one better. He found a link to a Reddit post by a user named WinterCharm, who is clearly a very serious audiophile, describing how great the sound of HomePod is. So let’s take that as a given, ok? It’s an amazing speaker with fantastic audio, for the price and the size of the speaker, and the fact that it’s only one speaker. We plugged in HomePod and waited to see what it would do (not reading any instructions of course). Steve was standing near it and his iPhone came up with a screen suggesting he start setting it up. But as he proceeded into the steps, it told him that only the owner of our Home could set it up. 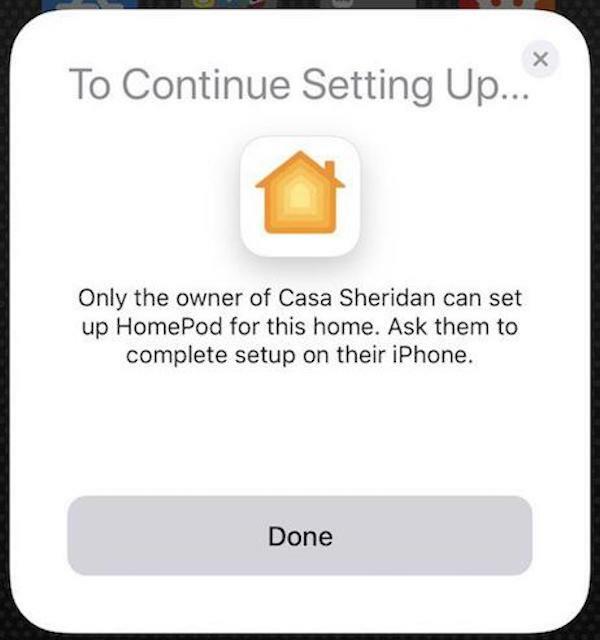 I was the one who set up HomeKit and therefore I’m evidently the owner of our Home, which means only I can set up HomePod. This was surprising, and disappointing. This will have two side effects. Steve won’t be able to use Messages, Reminders, or Notes for his Apple ID, though I’m not sure that’s a big deal. The other effect is that as music is requested from HomePod, it will inform the logic in Apple Music on what the Home owner likes to hear. In our case it won’t matter because I don’t listen to music, but in a household with people who do listen to music and have disparate tastes, this might create problems. Update: After I wrote up the blog post, Norbert Frassa shot me a note on Twitter, explaining that you can change whose Apple ID is used for Podcasts and Music, while leaving the other elements tied to the original Apple ID. He had to walk me through how to even find a way to change settings on HomePod. In the Home app, if you 3D Touch on the HomePod, you’ll have an option to see Details which reveals the hidden settings section. As I told Norbert, I love how arcane the Home app is. I never would have found this without his help. The other odd thing about the setup that surprised me had to do with naming HomePod. In HomeKit you create Rooms, and then you add accessories to those rooms. I created one called Kitchen and then put HomePod inside Kitchen. That caused the name of HomePod to be Kitchen. HomeKit is kind of a hot mess to set up and this is another example of it being dumb. This was not a case of HomePod Siri being dumb, it was brilliant security. How effective would my front door lock be if someone could holler in the window to ask HomePod to unlock my door? Only those devices to which you authenticate with biometrics or a passcode can unlock the door. Basically, HomePod’s Siri has read-only access to security devices. Steve and I were both very curious how HomePod would deal with podcasts. It’s actually brilliant in its simplicity. If you ask HomePod to play a podcast, it simply plays it. You don’t tell it where to look or connect it to your subscription, it simply has all of them available to you. If you stop and come back later, you can ask it to resume podcast and it works. Very cool actually. In playing around with this, I found an actual bug in HomePod. I asked Mikah Sargent to replicate the bug and he confirmed. If you ask HomePod to play a song, then tell it to stop, then tell it to resume music, that works. After that step, ask HomePod to play a podcast, then tell it to stop, then tell it to resume podcast, that also works. But if at this point you ask it to resume music, it will resume the podcast. I could understand if going back to the music was something it didn’t understand, but it shouldn’t play the podcast. Perhaps they didn’t program in the difference between a podcast and music, they’re all audio to HomePod? I didn’t want to get into the whole “which assistant is better” thing, (mostly because Siri would lose) but I did find one thing Siri is way better at than Alexa. For some reason, Alexa absolutely cannot find the NosillaCast podcast. With Alexa you say, “play podcast X on TuneIn Radio.” It works with lots of them, but not the NosillaCast. So I made a little video of me asking an Amazon Echo to play the NosillaCast and her failing miserably, and then I asked HomePod to play NosillaCast and she played it immediately. So there, I proved Siri is smarter than Alexa. While playing podcasts directly on HomePod was cool, we were quite pleased to see HomePod show up as an audio device in AirPlay on our phones. We’ll probably do that for podcast listening day to day so we can leave the room and not be tied to the HomePod room to finish listening. One of the most amazing things about HomePod is how quietly you can speak to it, even if the music is blaring. With the volume up really high, your natural tendency is to yell at it, but it’s completely unnecessary. Speaking of loud volume, sometimes if you ask HomePod to set the volume at 100%, she’d say, “That’s really loud, are you sure want to do that?” I loved that. Steve wanted to add that HomePod produces very good bass and is surprisingly heavy for such a small device. He thinks it’s because of all that goodness (and heavy magnets) Apple packed into the HomePod. 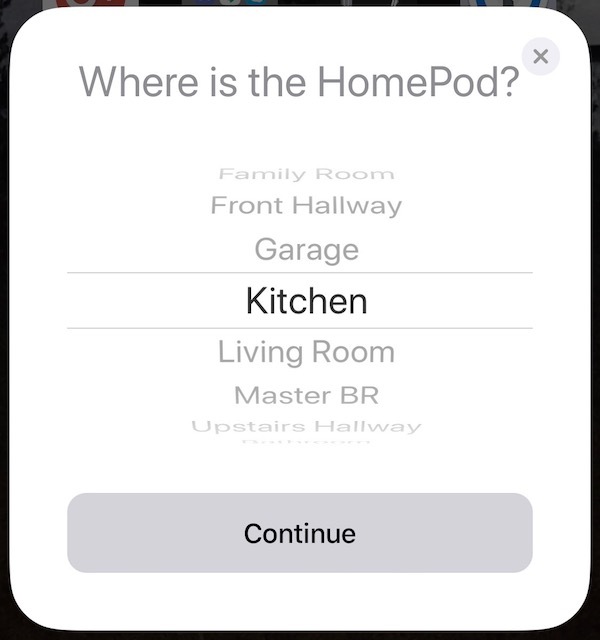 I’m sure I’ll have more observations in the next few weeks, but I thought it would be fun to hear a few off-the-beaten-path surprises about HomePod. Good Article about unexpected Home Pod.